Does the same etiquette of thanking people still exist today? The world is a very small place today, especially as one can communicate with others almost anywhere in the world at lightening fast speeds! In August I wrote a short piece about ‘Vixen’ of Victoria British Columbia having come across two pics of the boat taken when moored on a chain mooring in Durban. It was in 1958 that those pics were taken. I super-sleuthed on the internet and found ‘Vixen’s’ current owners, Bruce Halabisky and Tiffany Loney, sent them the pics and received additional info in return. More recently I received additional info from Bruce Halabisky after he received info on his boat from Christopher Toureau whose father was the District Commissioner of the Rodrigues Islands when ‘Vixen’ visited. 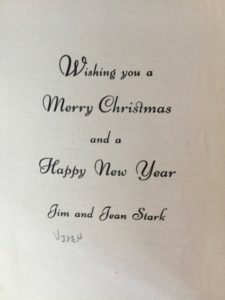 The letter attached to the Christmas card as shown above. My name is Christopher Toureau and in the 1950s, my father was District Commissioner on the island of Rodrigues in the Indian Ocean. 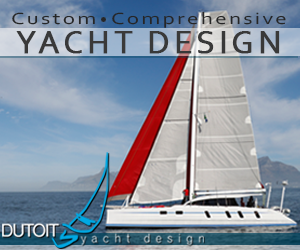 They had occasional visits from sailboats whose owners were welcomed to the island and looked after by my parents. 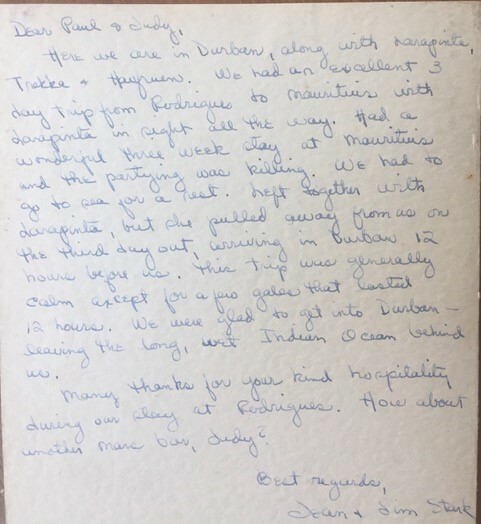 As you can now guess one of these visits was from Jim and Jean Stark on ‘Vixen’, the exact date of their visit is a question mark but I think it was around 1958/59 as they coincided with a boat called ‘Larapinta’ (and some others as you will see in the accompanying note) sailed by Peter and Lesley Mounsey. 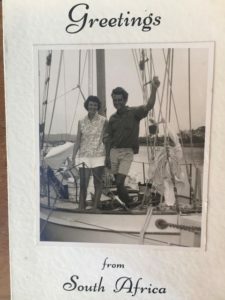 They both sailed together to Mauritius and onto Durban where they arrived at Christmas ‘58 or ‘59, more likely ‘58 (it was ‘58 ED). I only know of this, as I was 3 at the time, because I recently found going through some old papers a Christmas card and accompanying note thanking my parents for their hospitality in Rodrigues. Isn’t it wonderful that today we are able, with the assistance of the internet, Google, and more, to piece together history which has all but been forgotten. 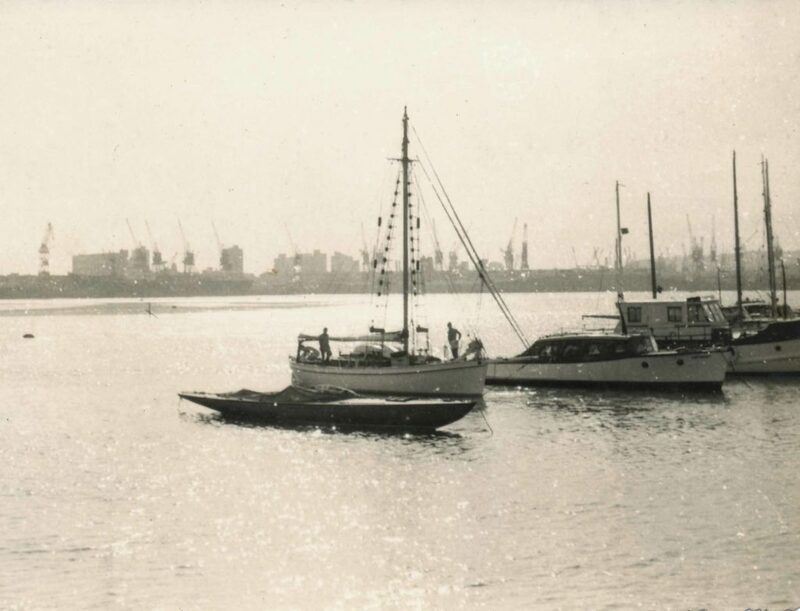 Vixen moored in Durban in 1958.